Every year there are around 15 million divorces granted in the UK. Filing for divorce means that the marriage contract is being formally terminated, but before divorce can be applied for the grounds for divorce must be shown. Solicitors may not always be needed when it comes to divorce but there are a number of legal requirements that must be adhered to before a divorce will be granted. The husband or wife has committed adultery and can longer be lived with. A husband and wife have lived apart for two years and agreed to a divorce. A husband and wife have lived apart for five years, in which case no agreement to divorce is needed. Unreasonable behaviour by a husband or wife such as neglect or abuse. Divorce proceedings will begin with the husband or wife applying at the County Court for a petition. Petitions cannot be applied for unless the couple have been married for at least one year. In the petition the person applying for divorce must state the reason for the divorce as proof that the marriage is definitely over. If the married couple have children then a form called a Statement of Arrangements will also be required, which will include details of provisions made for the children when the divorce is finalised. A judge will need to be satisfied that all of the arrangements and information is correct and that the marriage is past saving. He will then grant a decree nisi, which is the first stage in the divorce process. After six weeks the person who is applying for the divorce can then apply for a decree absolute and when granted this will mean the marriage contract has formally ended. Solicitors are not always needed in divorce cases unless there are disputes over financial and custody arrangements. It may however be a wise move to seek some form of legal advice if proceeding with a divorce and either spouse is unsure of all the implications and legal rights. A separation agreement is one alternative to divorce and is a legally binding contract. 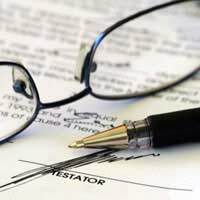 Separation agreements can be drawn up in order to avoid financial disputes between married couples when the relationship breaks down. The agreement will usually be drawn up by solicitors and can include the arrangements for children and property arrangements. The terms and conditions of the agreement must be fully understood and agreed by both parties before either one signs the document. Where financial disputes occur due to the breakdown of a marriage, separation agreements can be less expensive than costly court action. Details included in the agreement will usually be dependant of the individual circumstances of those involved. Common details will include the names and addresses of both parties plus the names of any children. Details of child maintenance payments will be included if there are children plus living arrangements for any children. An agreement on how property will be allocated and financial details of any maintenance payments to either spouse should be included in the agreement. It should also be noted that the separation agreement is a full and final legal document and that both parties are aware of all terms and conditions. Divorce and separation issues will always be of a sensitive nature and disputes can occur over divorce agreements and contracts. It may be a wise move to seek advice and information from a legal advisor or a family solicitor before any proceedings are set in motion.